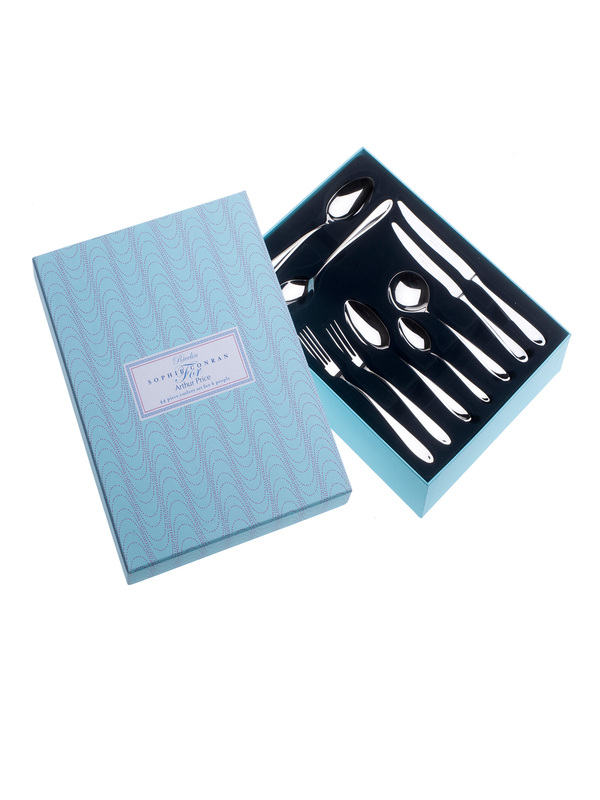 This wonderful forty four piece set includes a full seven piece place setting for six people, as well as two serving spoons. It makes a fabulous wedding gift. 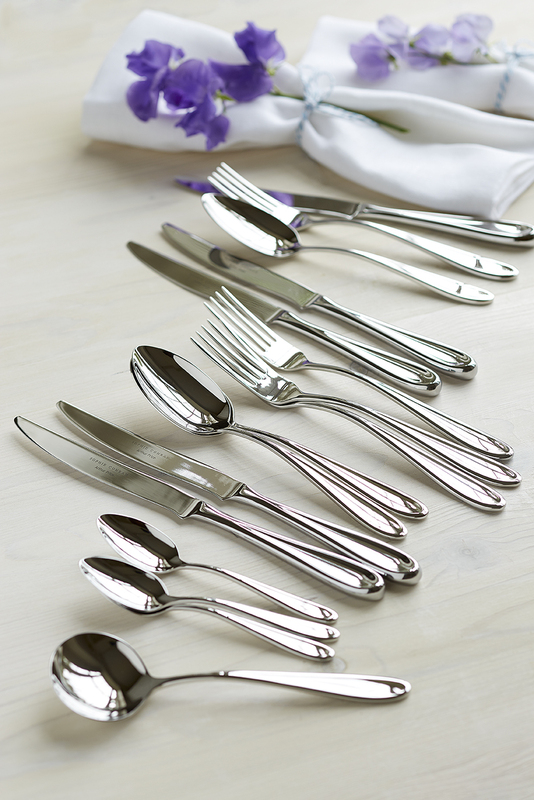 All the pieces in this beautiful cutlery set are designed to feel great in your hand and be balanced perfectly. The handles of the Rivelin collection are smooth like a pebble shaped by waters of a fast flowing river.